Robert Maniscalco offers Memorable and Creative Bridal artwork. an original work of art celebrating the moment and capturing it for the ages. 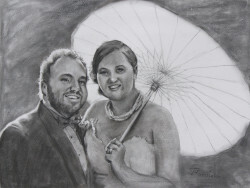 Custom artwork is the must have gift for the bride and groom. Robert will create a magnificent oil portrait of the bride and/or the bride and groom, miraculously capturing this magic moment in time forever. An oil portrait is a legacy of love that will be cherished for generations to come. 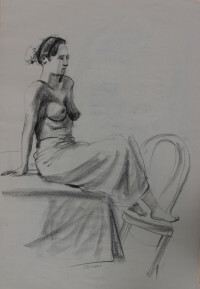 Boudoir Life Drawing Sketches in ink, charcoal or Conte’ crayon. Boudoir Oil sketches make excellent Groom or Bridesmaid’s gifts that will be treasured for a lifetime, an experience to remember. Essential Series In addition to his bridal portraits Robert can create a very personal still life, celebrating the bride’s wedding with a “portrait” a few of her favorite things. Can you think of four or five objects that express an important event or time of life of the person you love? Robert can arrange them into a still life and create a treasured heirloom. Have Robert Paint Live at your Wedding. 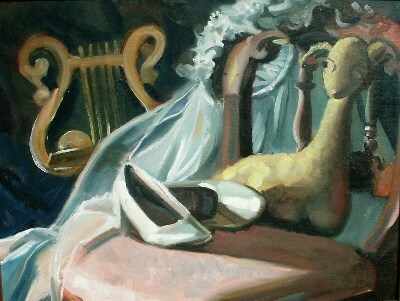 A Performance Painting, created during the event adds a memorable experience and an amazing heirloom. Robert can paint your guests, gathered during the ceremony, capturing the feeling, the environment, the ambiance, the love of the experience forever. Capture that one moment during your honeymoon you’ll never want to forget. Robert recreate that moment from your honeymoon photos to find the stuff of great art and turn your moment into an heirloom that will live through the ages. Remember the exciting place you visited on your Honeymoon, Commission a painting from your fantastic travel photos! Work with Robert to determine the size, style, subject and colors you want to remember forever in oil. Contact Robert or Cate for a FREE consultation.